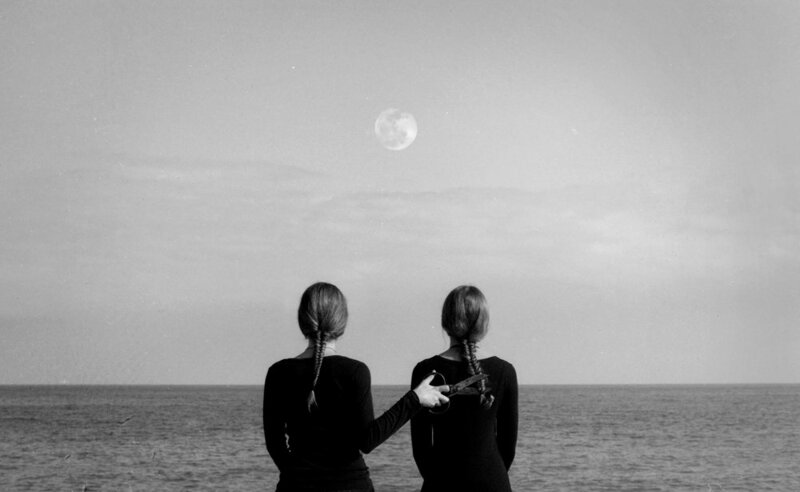 Cultivating a modest type of allure that investigates the relationship amidst femininity and symbolism through surrealism, Andrea Torres Balaguer a Barcelona-based photographer experiments with the subconscious to deliver a meaningful visual for the observer to interpret. The photographer’s images highlight the little memories we recognize from our dreams. Spending the utmost time conceptualizing portrait visuals Andrea Torres Balaguer thought-provoking techniques are translucent, which introduce a consequential romantic and minimalistic method heavily relying on the abundant processes of consciousness and innovative imagination. What is interesting about photography. It has the ability to create moments that people could always appreciate. The photographs you created, I’m sure there’s a mystery. If your pieces could interact, what would they say and who is your ideal viewer? I think that the interaction between the piece and the spectator would be some kind of“question-answer” dialogue, where the picture makes the question. The viewer interpretation is very important, for me, the subconscious and what the photographs suggest to the observer. I don’t like to be explicit in order to give some space to let the questions flow. So I like curious people, someone who likes to solve enigmas. My ideal situation is when someone stands in front of the picture and wants to know more about what is happening, like “I need to know what is happening here, I need answers and I want to continue thinking about it”. Every question can be answered by the point of view of the spectator. What inspires you most about photography and why did you pursue a career as a photographer? Of all the career choices, do you feel your selection was a good one? What do you enjoy most about the art of photography? I didn’t decide to be a photographer, in fact, I started Journalism at the University and after changing to Fine Arts I was interested in engraving. My career as “a photographer” was something that happened naturally. I have always loved to take pictures and I used to do it just for fun with my friends. When you really like to do something, it’s easy to spend a lot of time doing it, so that’s what happened with photography. What I enjoy the most is thinking the scene, the idea, the environment, make sketches, create situations and stories. Then the camera is just the tool to capture all the previous work. If it was a good choice? I can’t imagine myself doing anything else. Describe your aesthetic? What are the most important elements and what kind of look, atmosphere or feel do you try to capture in your photos? It's hard to say actually, because I've been experimenting with different techniques. I'm sure a lot of people think of my work as minimal, moody, atmospheric. I'm heavily influenced by Japanese photography and aesthetic, but I'm trying to have each series live in its own world, with its own rules. One thing for sure: I work with very few elements, all of them strictly chosen, and I look for a very particular kind of mystery, an ambiguity that transcends the photograph, something that brings the viewer in, that captures them. Walk us through the actual process of your work? How would you describe your photographic vision? Where do you get your ideas and inspiration? When I have an idea I make a quick-sketch. Then I add notes and words, and keep on improving the idea until I’m satisfied with it and I have all the details to take the picture. I think that I spend most of the time thinking about the picture instead of shooting it. I’m recently obsessed by the color retouch, although I started taking pictures in black and white and for a long time I was running away from colors. The shades, the tones, can change completely the atmosphere of the picture, they have a high responsibility in the final result and meaning. In a world with a lot of visual inputs the inspiration comes constantly from everywhere, literally. It can be obvious that Instagram, social media and advertising can be an enormous influence if you are a photographer. But I can’t assimilate all of these images, sometimes I don’t have enough time to process it. My real inspiration comes from simple and daily things: a song, a poem, a conversation with a friend. Many of the subjects are women. How do you select a new subject for your concept and why are most of the characters females? I used to choose my closest friends to be the subject of my pictures, and recently myself (as a self-portrait). To build a character I pay attention to the hair, color and texture. I don’t usually show the characters’ faces so what gives them the identity are the hair and the clothes. My work has been always related to femininity and symbolism. I feel a representation of my identity in the female characters, they are not me but have something of mine. Sometimes they are not technically “a female”, it’s just an allegory or a representation of a concept. Let’s examine “The Unknown”. In this series all the subjects are somewhat concealed with a simple brushstroke. What is the significance and why did you decide to present your work in this manner? I wanted to test different techniques beyond photography. Following my previous work (Moon) where the characters hide their faces voluntarily to make them whoever you imagine, I thought about taking away the identity of the character by concealing their faces. It seemed a bit aggressive to me, especially because it was me “brush-stroking” their faces, stealing their identity. For that reason I decided to do it to myself by taking self-portraits. And it has a new sense: I strip myself of my identity, but I can be whomever the spectators want. I have a lot of possible new identities except my original. Do you plan on experimenting with new materials along with your photography? I’ve recently tried to mix iridescent acrylic painting with the baryta paper and it’s just the beginning. Maybe textured papers will be my next step but what I know for sure is that I want to keep expanding the boundaries of photography by mixing materials. I was thinking about the development stages. The repetition of some photographs, a nice harmony the way you’ve built up these images many times. What is the relationship between the past and present for you? The past is often built from nostalgia in the present. We build memories over time. They end up being first-person, subjective, constructions made by the person that remembers. The pictures I take are interpreted and reinterpreted by the viewer in a similar way. The viewer's conditioning, life experience, the way they take the image in is similar to our relationship to memory. As far as repetition goes, it's a kind of mantra, a safe zone, and a place that ends up becoming familiar to you. When you know a space, any small alteration, or variation within it allows you to reconsider and re-engage with the space, or in this case, the photograph, whilst maintaining a feeling of comfort and continuity throughout. Exactly what do you want to express with your photographs? How do you get your photographs to reflect that? To be honest, I don’t really know what I want to express “generally” in all of my work. Each project is different and it has its specific intention, maybe curiosity, some kind of mystery or something to discover. Serenity and contemplation mixed with ambiguity. I think of the scene, the image and the series globally and sometimes I’m not completely conscious about what I want to express in words. But at the end, the base is always the same: my tastes and my obsessions. Name one thing you want to communicate most with your photographs? A sense of undisclosed meaningfulness.